Mean Chey, the rising star of south east of Phnom Penh, has all types of land available for rent. Some has property included, while some has already been cleared for future development. Whatever it is you are looking for in a Mean Chey rental land property; Realestate.com.kh’s fantastic search engine will tailor listing results to suit you. Don’t waste your time trawling through individual listings and running around town, let Realestate.com.kh do the leg work for you! Renting land in Mean Chey is a solid option. However, with the numerous plots available all around the Mean Chey region, it is easy to get confused and distracted, with the result being that you end up with land that is unsuitable for you and your property needs. The first step would be to scout out a few pieces of land and schedule times for inspections. Realestate.com.kh is the perfect place to do all this. But after you start physically searching, never settle on the first deal you come across. It is always possible that you might come across a better offer at the next inspection. If you need any help, Realestate.com.kh is here and ready to assist! 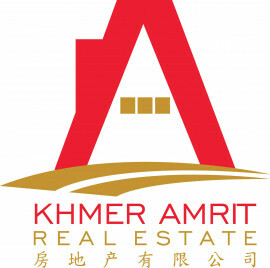 Check out some great resources on Realestate.com.kh in our Location Profiles and Investor Guides: Learn more about Cambodia, Phnom Penh, Siem Reap & Sihanoukville. Learn more about Investing in Cambodia, Foreign Ownership in Cambodia & the Cambodian Expat Experience!